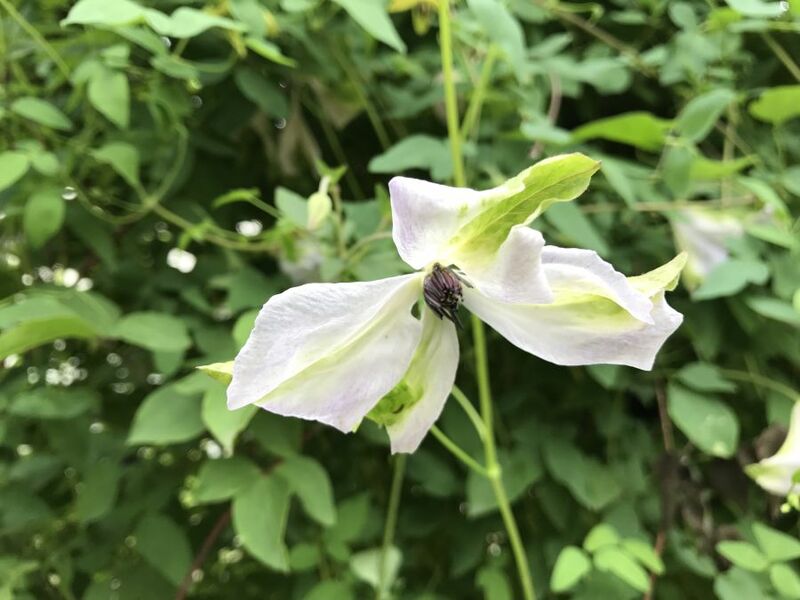 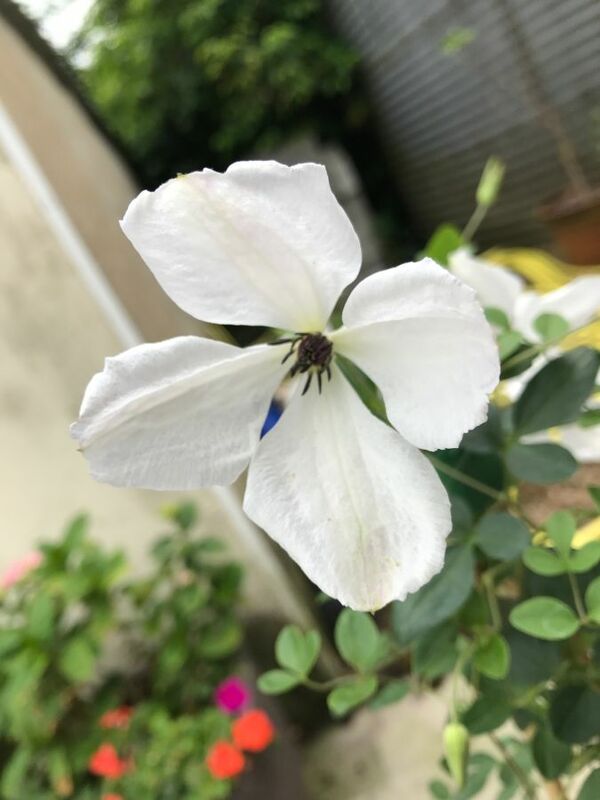 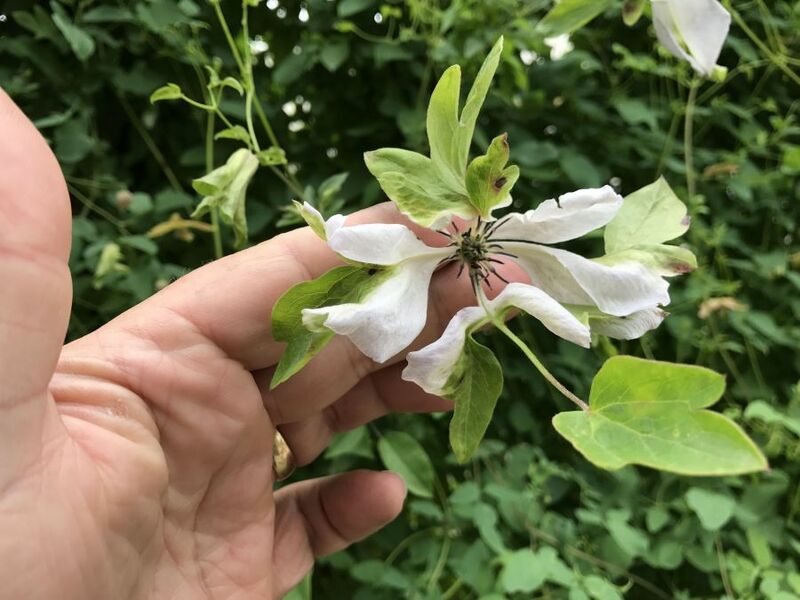 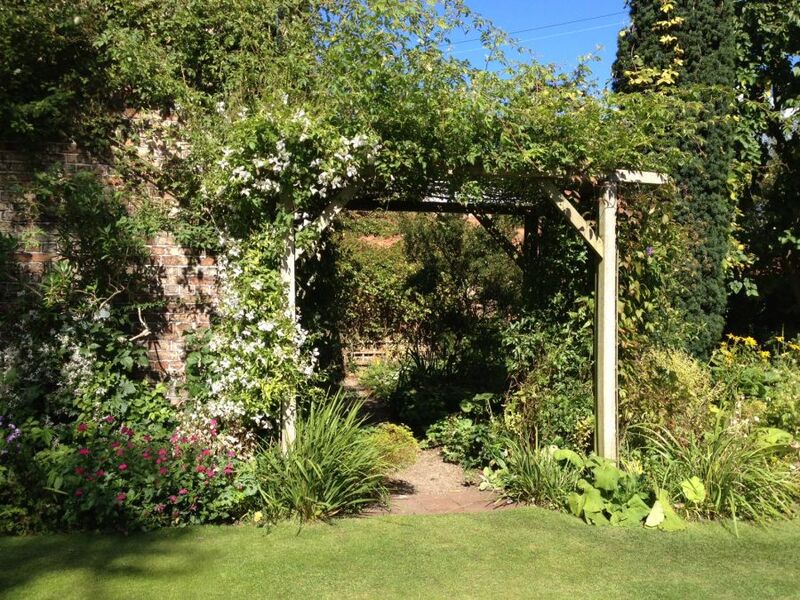 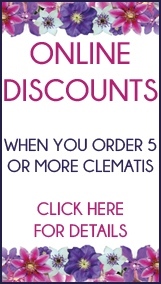 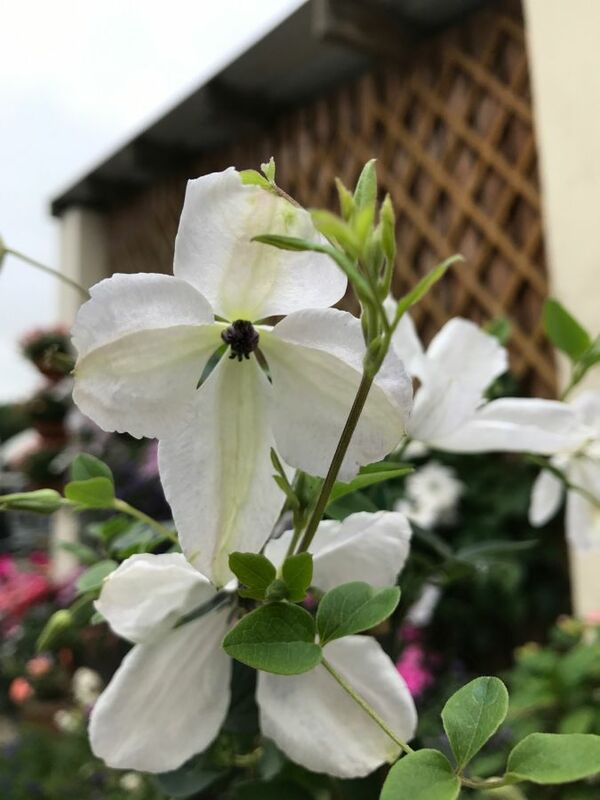 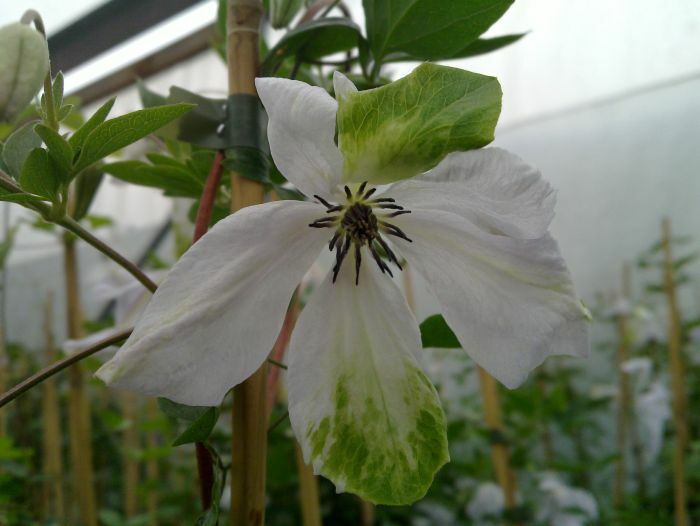 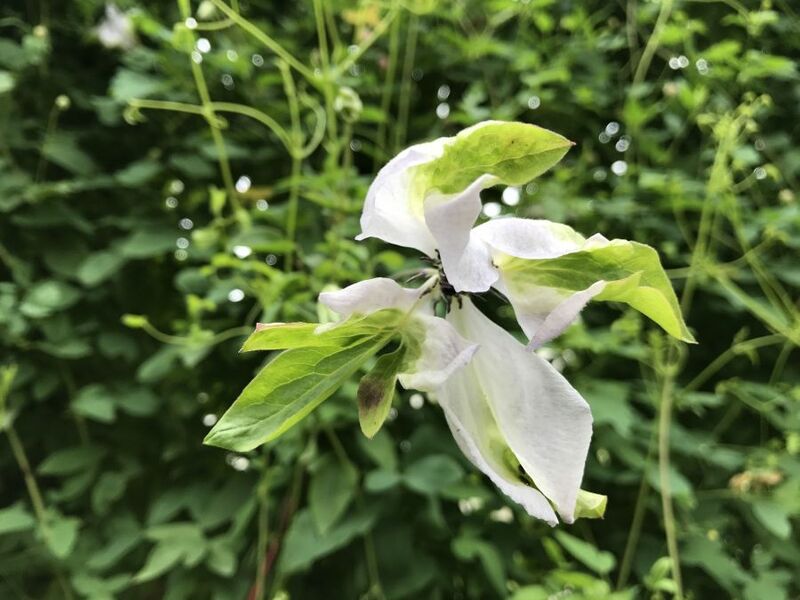 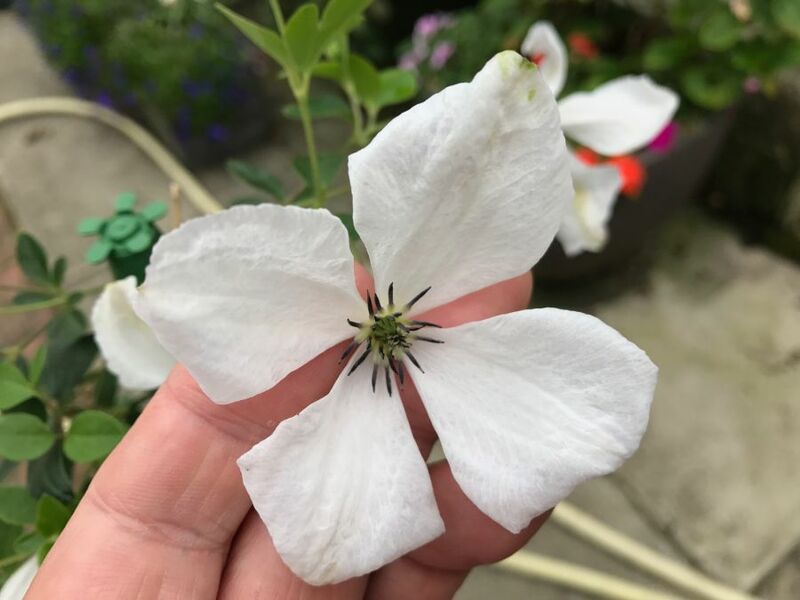 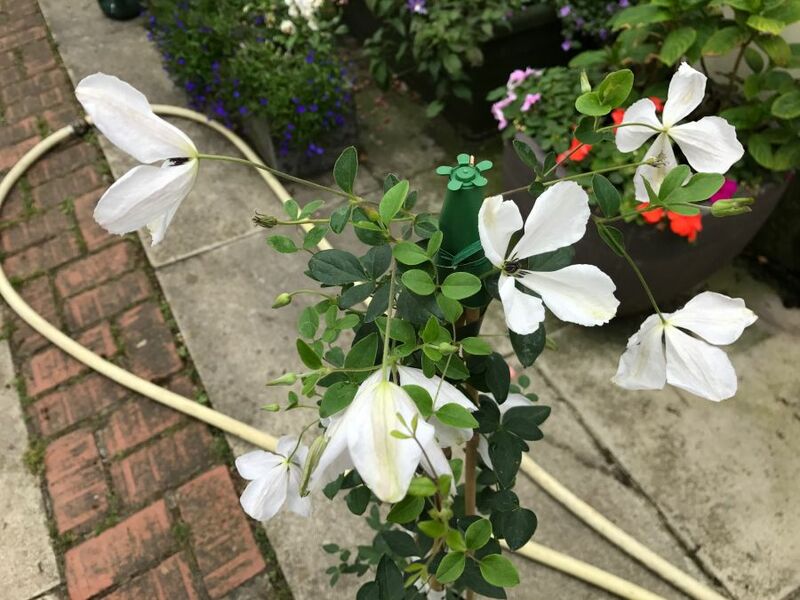 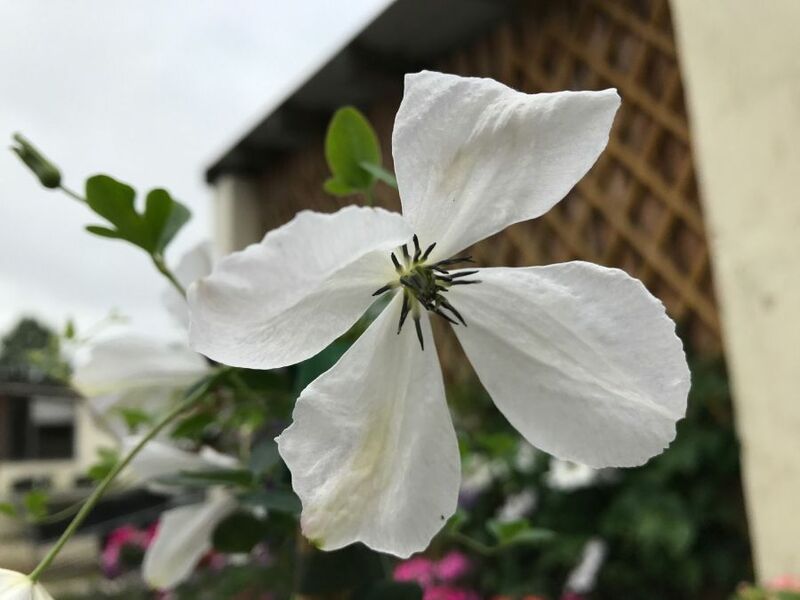 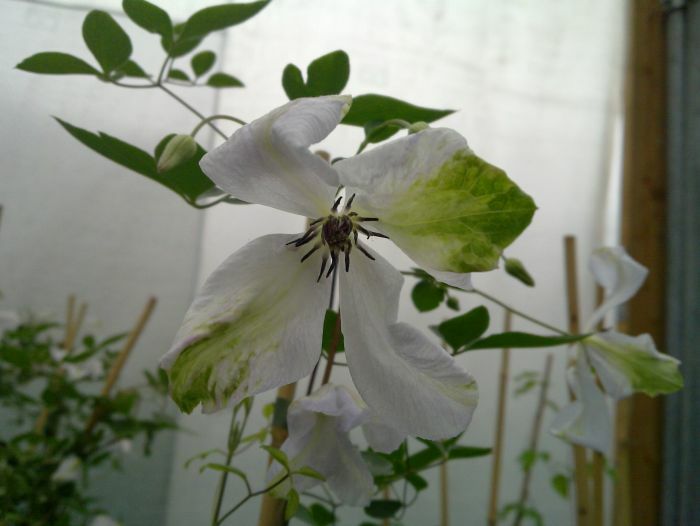 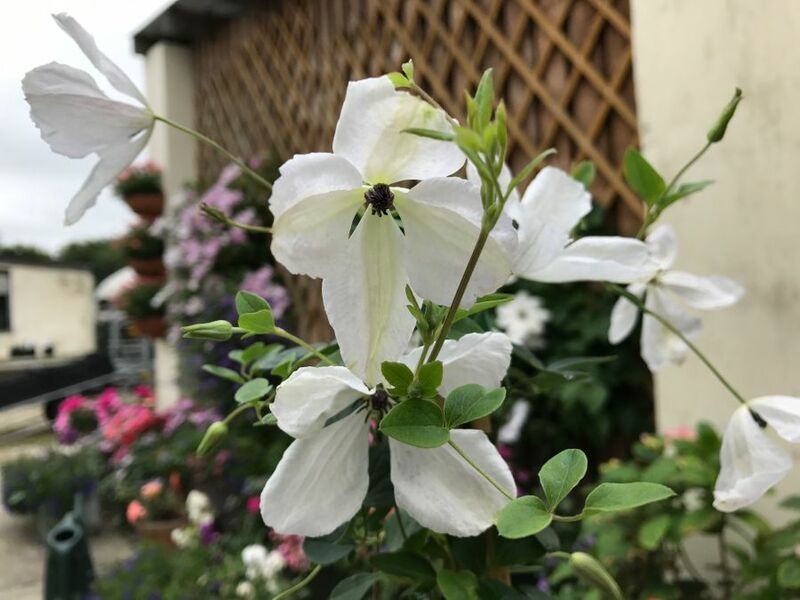 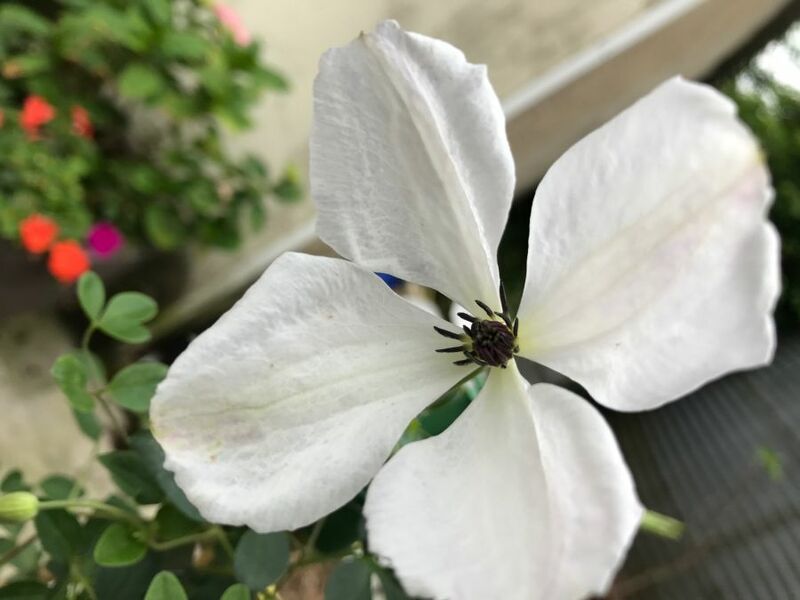 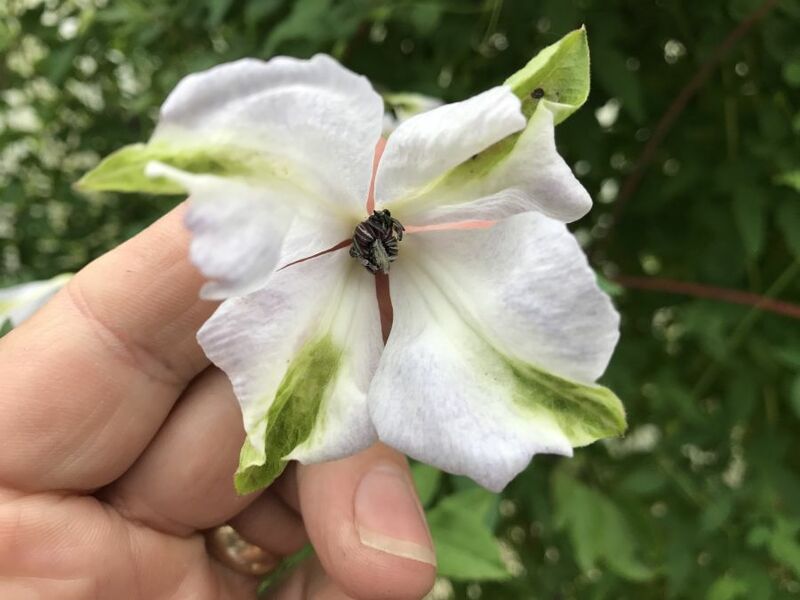 Clematis viticella Alba Luxurians is a fast growing good coverage clematis that flowers in abundance, alba luxurians also has this nice green twist to the edge of the sepals. 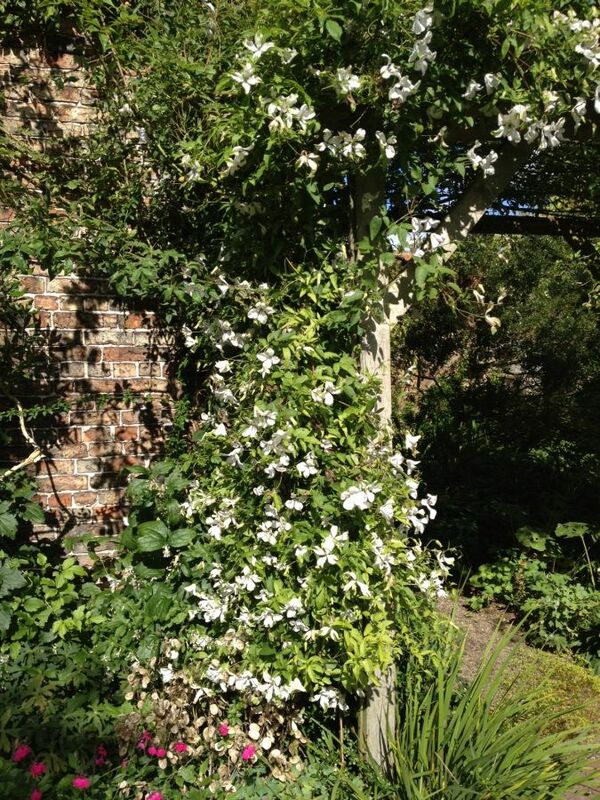 There is a good mature example in Helmsley walled garden. 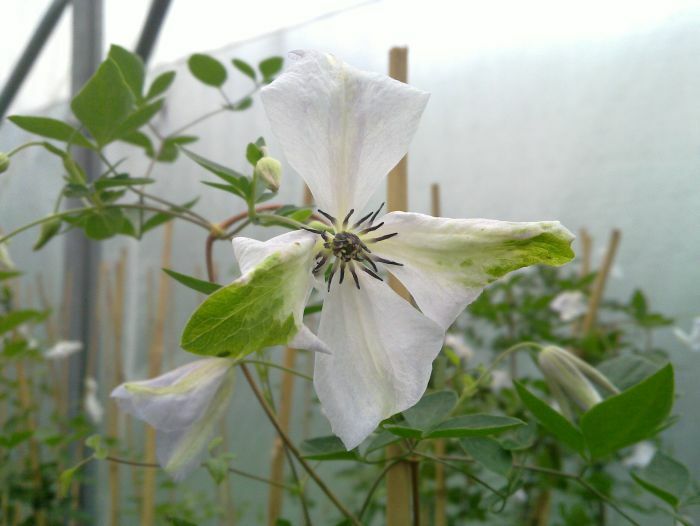 Alba Luxurians will reach heights of around 12 feet and flowers later in the season July - the end of September.The viticella family are among the toughest clematis in existance they thrive in coastal regions and places where the temperature can drop below - 40 degrees C so a good choice all round really. 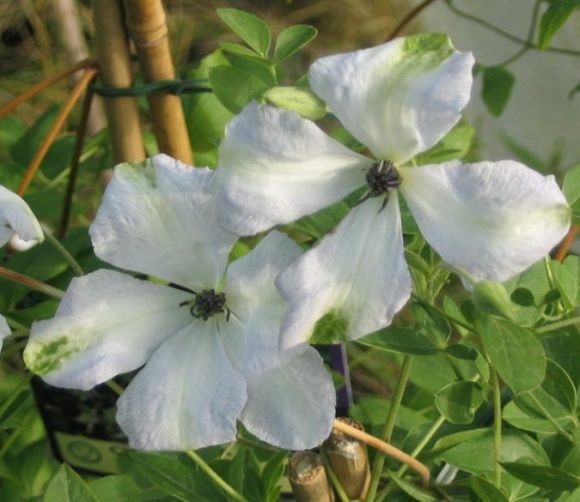 Alba Luxuirans can also be grown in a pot if need be.